You can have a traditional focal point in your living room, entry, or hallway with this Old World style demilune sofa table. It offers a richly appealing design with its mix of materials. The shaped table top with beveled wood edges includes insert tempered glass at the center. 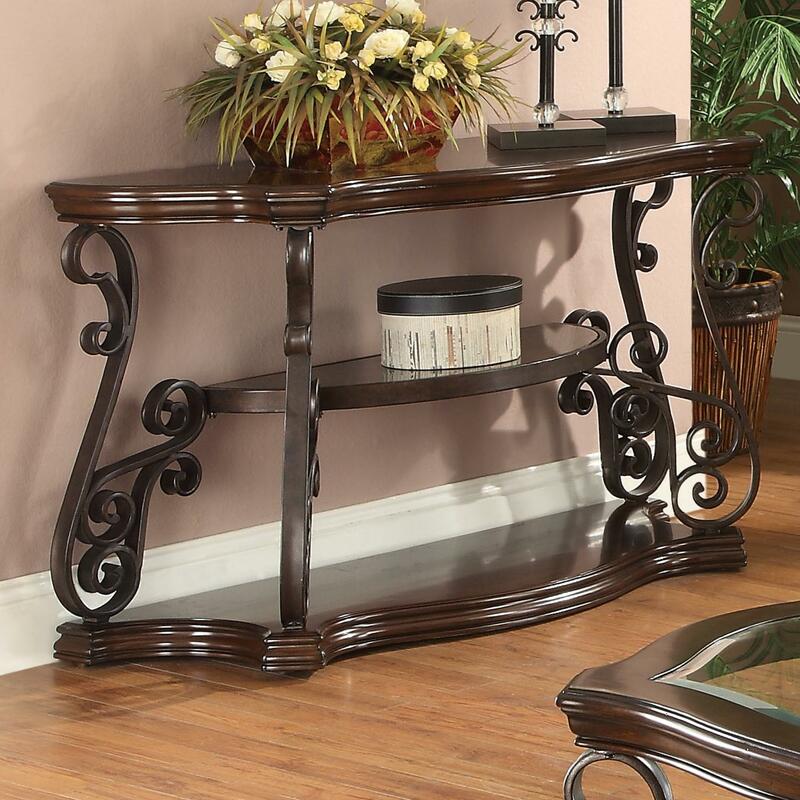 Ornate metal scrollwork supports a center circular shelf above a spacious wood shelf with shaped edges at the base. 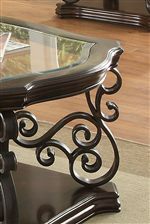 The Occasional Group Sofa Table with Tempered Glass Top & Ornate Metal Scrollwork by Coaster from Nashco Furniture - Nashville. We proudly serve the Nashville, Franklin, Brentwood, Clarksville, Green Hills, Davidson County, Williamson County, Tennessee area. Product availability may vary. Contact us for the most current availability on this product. The Occasional Group collection is a great option if you are looking for Traditional furniture in the Nashville, Franklin, Brentwood, Clarksville, Green Hills, Davidson County, Williamson County, Tennessee area.